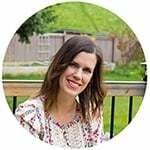 Sharing my favorite ways to avoid plastic in the freezer! With a few helpful products and strategies, you can drastically reduce your dependency on single-use products. 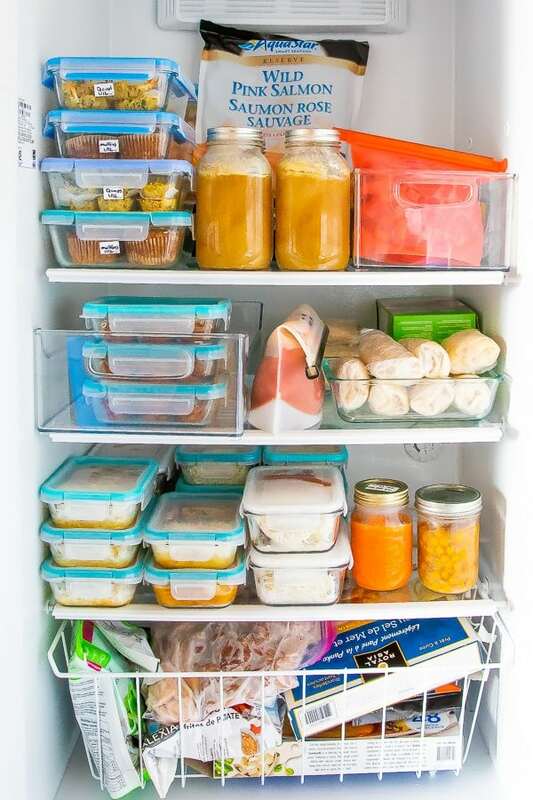 It’s been awhile since I shared 5 Ways to Reduce Plastic Waste in the Kitchen and I’m back today, sharing my solutions to one of my biggest problem areas: the freezer. Freezer meals. Love the convenience. Hate the waste they generate! 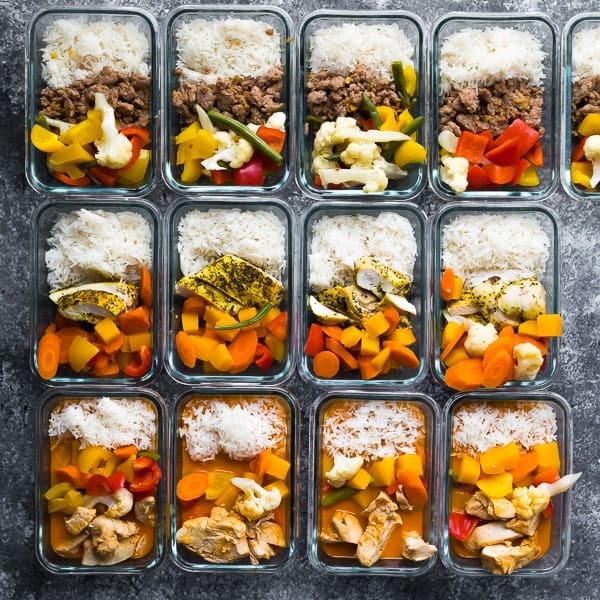 From disposable freezer bags to disposable foil trays, to plastic wrap, there just seem to be few options for freezing your meals that don’t generate waste. I’ve been searching high and low for some eco-friendly products that will reduce the need for plastic and foil. I still have some problem areas that I hope to tackle soon, namely: crockpot freezer meals (which require sturdy 1 gallon bags), and plastic wrap (for freezer burritos etc). But for now, I’m going to share some tricks and equipment that I’ve been loving so far! For a long time I was so scared to freeze liquids in jars, but I decided to just go for it. 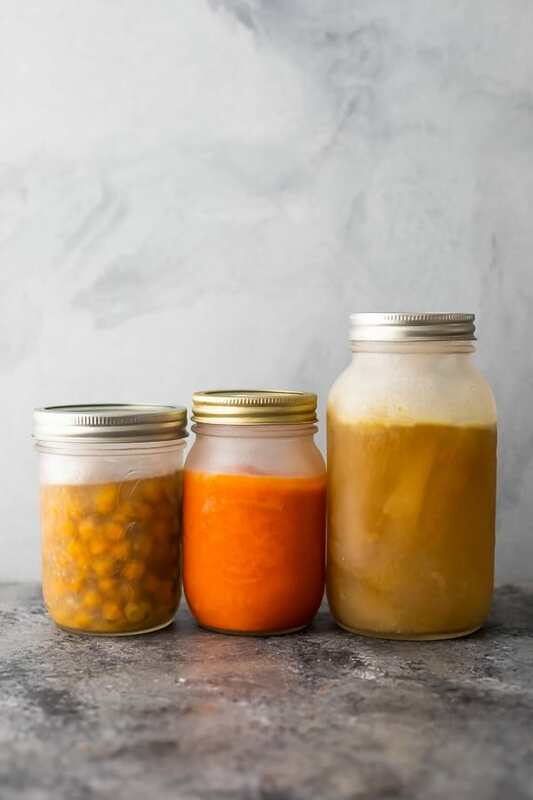 I’ve frozen bone broth, turkey stock, soups, hummus and chickpeas in glass jars and haven’t had a single issue so far. What I love about jars is they can store easily on the door of my freezer, and you can see through them so it’s easy to know exactly what you have. OBSESSED. I am completely obsessed with reusable silicone bags. They are SO handy and have reduced my dependency on plastic bags for pretty much everything except for crockpot freezer meals, which require such a large volume bag. I am hoping these companies come out with some gallon-sized options because my freezer waste would be so drastically reduced! and so so many more items! The best thing about the reusable silicone bags that I use is that you can turn them inside out and wash on the top rack of your dishwasher! SO so easy! *note that these bags may be hard to shut initially but as you use them, they loosen and are so much easier to use! Have you checked out my freezer lunch stash? It’s pretty epic at the moment! I portion out cooked meals with rice and freeze in my 2 Cup Glass Meal Prep Containers from Snapware. I have also frozen some meals in my 2-Compartment PrepNaturals Meal Prep Containers with no issues. I also freeze muffins, quinoa bites, and more in my 6 cup glass storage containers. Do they get a bit of freezer burn without being individually wrapped in plastic? Yes. But it does not alter the flavor unless they are in there for a LONG time. We eat within a month. 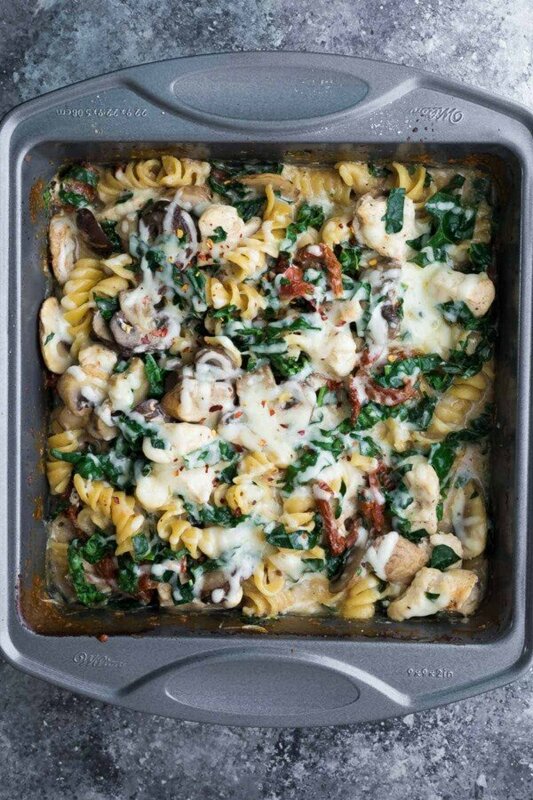 When it comes to casseroles, I hurts my heart to use a disposable foil tray once and toss it in the trash. Instead, I invested in several 9×9 inch metal baking pans, and use them to freeze lasagnas, pasta bakes, and more. When it comes to covering in the freezer, I do use foil because it really does protect the food efficiently from freezer burn. However I try to reuse the foil multiple times before recycling. My method is not perfected yet, so I hope to find a better solution soon! 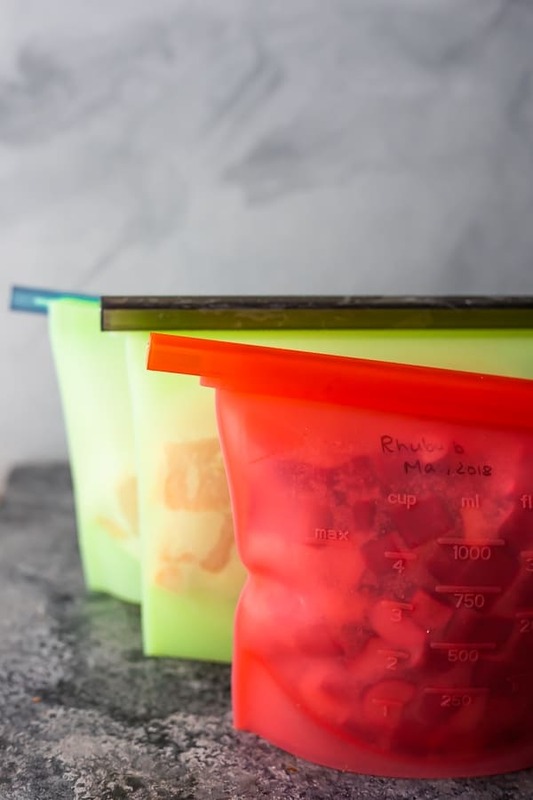 Those are my four favorite plastic-free freezer storage options! I have been making small swaps to get rid of plastic for years now…and these are just some ideas. We are all on our own journeys and these may or may not work for you and your lifestyle. 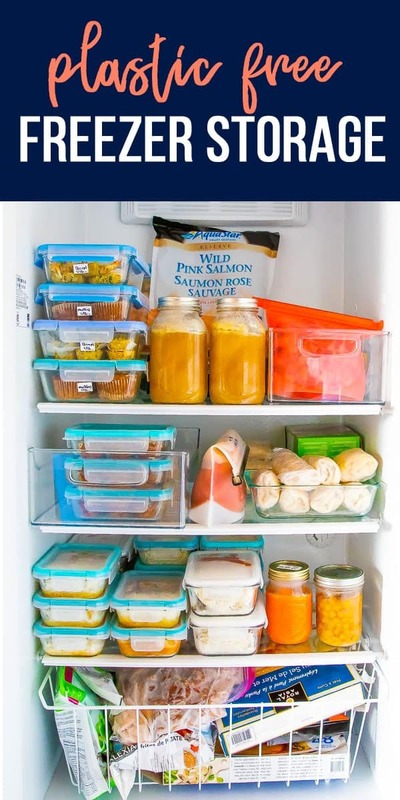 Please let me know if you have any plastic-free storage options that you love for the fridge or freezer, as I’m always looking for more ideas! Ooh thank you for sharing! Running off to check them out! Do they work with liquids like spaghetti sauce with meatballs? I’ve just ordered some, so not sure yet, but I’m hoping so. The other sizes I’ve used from that brand are sturdy, so fingers crossed.